How Many Dams Are There In The United States? The exact number of dams is not known. 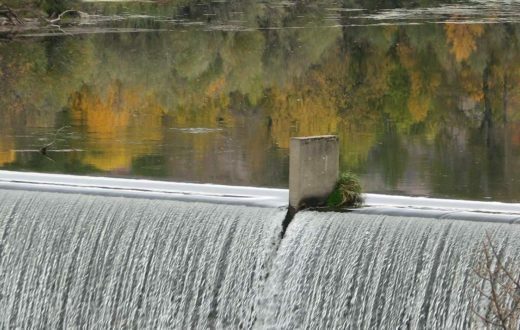 There are more than 79,000 dams in the US Army Corps of Engineers’ (Corps) National Inventory of Dams (NID), which is the most comprehensive inventory of dams nationwide. However, this inventory only covers dams that meet minimum height and impoundment requirements, so an unknown number of small dams are not included in the inventory. Of the 79,000 dams in the database, approximately 66,000 are located on rivers (the remainder impound water off-river). Which State Has The Most Dams? According to theUS Army Corps of Engineers’ (Corps) National Inventory of Dams (NID), Texas has the most dams of any state at 6,798. How Many Dams Actually Produce Power? What Is The Largest Dam In The Country? Why Are Some Dams Being Removed? There has been a growing movement to remove dams where the costs – including environmental, safety, and socio-cultural impacts – outweigh the benefits – including hydropower, flood control, irrigation, or recreation – or where the dam no longer serves any useful purpose. 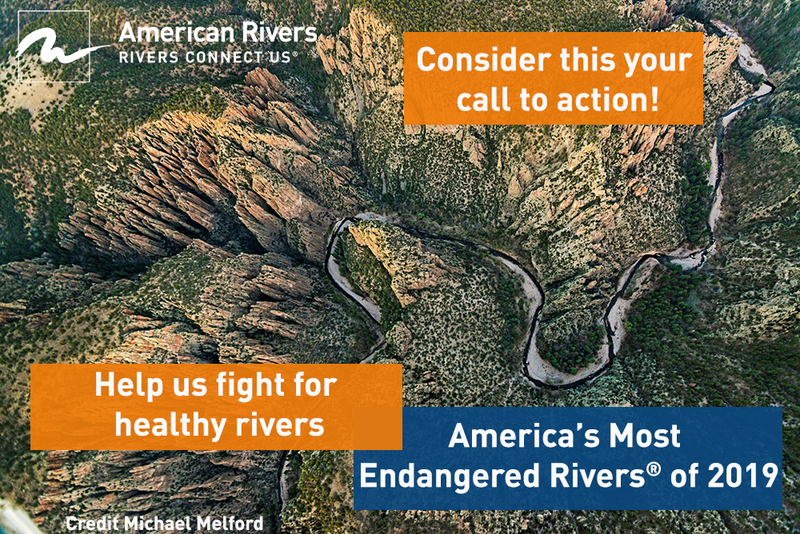 The goal of removal can be multi-faceted, including restoring flows for fish and wildlife, reinstating the natural sediment and nutrient flow, eliminating safety risks, restoring opportunities for recreation, and saving taxpayer money. Because dams and rivers vary greatly, physical removal strategies and techniques may also vary on a case by case basis. Here is more in-depth information on how dams are removed. How Many Dams Have Been Removed To Date? Currently, American Rivers is aware of almost 1,150 dams that have been removed over the past 100 years in this country. We are still in the process of gathering this data, so that figure continues to increase as more information becomes available. 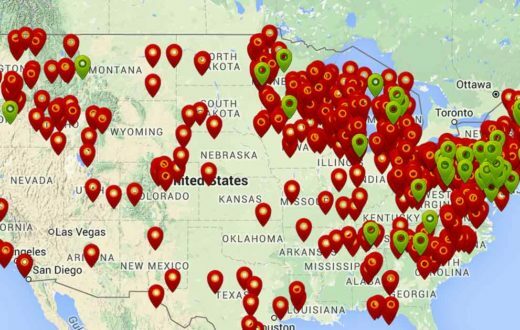 You can view an interactive map of all known U.S. dam removals. How Much Does It Cost To Remove A Dam? Who Owns The Dams That Are Being Removed? Who Pays For Dam Removal? Who Decides That Dams Should Be Removed? The decision to remove a dam is made by varying entities, depending on the regulatory oversight of the dam. In most cases, the dam owner itself is the decision-maker, often deciding that the costs of continuing to operate and maintain the dam are more than removing the dam. State dam safety offices can often order a dam to be removed if there are major safety concerns. State fish and wildlife offices are also often involved in the decision-making, particularly when the goals of the project include restoration of habitat for migratory and resident aquatic species. It the dam in question is a hydropower facility, the Federal Energy Regulatory Commission can order a hydropower dam under their jurisdiction to be removed for both environmental and safety reasons. Can Rivers Be Restored Through Dam Removal? 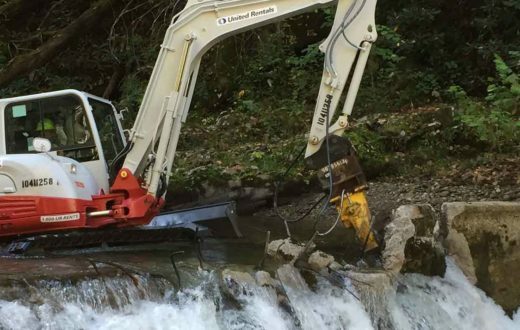 Although most rivers cannot be completely restored to historic conditions – simply because of the amount of development that has occurred on and along them – dam removal can often recreate conditions that move the river towards those historic conditions. 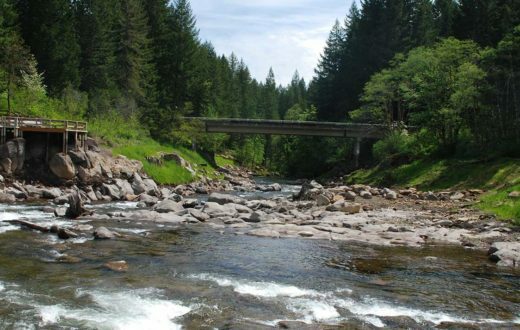 For example, fish are returning to historic stretches of river that had been previously obstructed on Butte Creek in California, the Souadabscook River in Maine, and the Clearwater River in Idaho, as a result of dam removals. What Benefits Do Dams Provide? How Can The Benefits Of A Dam Be Replaced When It Is Removed? Is It Cost Effective To Remove A Dam? Dam removal can be expensive in the short term, but in most cases where dams have been removed or are being considered for removal, money is actually saved over the long term. Removal eliminates the expenses associated with maintenance and safety repairs, as well as direct and indirect expenses associated with fish and wildlife protection (e.g. fish ladders and mitigation for fish mortality). In addition, removal often generates income from newly available recreation opportunities – including fishing, kayaking, and rafting – which may actually result in a net economic benefit. In some areas, dam removal may allow resumption of commercial fishing activities. Will The Removal Of A Dam Matter If Other Dams In The System Are Not Removed? Some rivers are so heavily developed and dammed that removal of one dam on that river will only return flows to a small portion of the river. Generally, dams that have been targeted for removal are strategically located – removal will open up a section of the river critical to fish and wildlife and/or recreation. 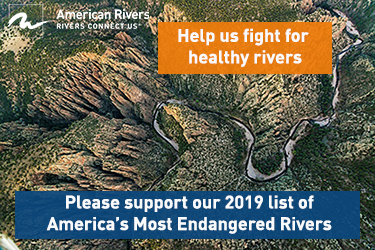 In some cases, this additional section of river is enough to sustain crucial populations of endangered or threatened species of fish, mollusks, and other wildlife. How Does Dam Removal Affect Fish? Dam removal benefits fish in many ways, including: (1) removing obstructions to upstream and downstream migration; (2) restoring natural riverine habitat; (3) restoring natural seasonal flow variations; (4) eliminating siltation of spawning and feeding habitat above the dam; (5) allowing debris, small rocks and nutrients to pass below the dam, creating healthy habitat; (6) eliminating unnatural temperature variations below the dam; and (7) removing turbines that kill fish. What Are The Potential Downsides To Dam Removal? Dam removal does result in fundamental changes to the local environment. The reservoir will be eliminated, and with it the flat-water habitat that had been created. Wetlands surrounding the reservoir may also be drained, although new wetlands are often created both in the newly restored river reach above the former dam site and in the river below. Sediment that collects behind a dam, sometimes over hundreds of years, may contain toxics such as PCBs, dioxide, and heavy metals. Removal of these toxic materials is often extremely expensive, and the threat of re-suspending these toxic-laden sediments in the process of dam removal has the potential to damage downstream water quality and threaten the health of fish and wildlife and water users. These impacts, however, can be prevented through proper removal techniques. Short term impacts of the dam removal itself can include increased water turbidity and sediment buildup downstream from releasing large amounts of sediment from the reservoir, and water quality impacts from sudden releases of water and changes in temperature. It has been demonstrated that these short-term impacts and greatly outweighed by the quick recovery of the system and the long-term benefits that result. How Quickly Do Rivers Recover After Dam Removal?